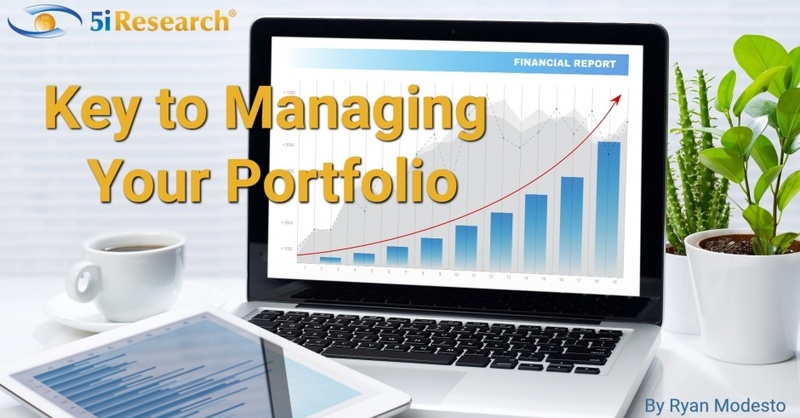 Managing a portfolio can be a complicated matter but it does not always have to be. We have taken some time to try and distill how an investor can manage a portfolio into a few core principles. Then, we dive a bit deeper to provide a bit of a view on how we view portfolio management at 5i Research. Some of these principles might differ slightly from more conventional (and in some cases outdated) views. This does not just apply to stocks and bonds. An investor should diversify their assets across asset classes (stocks and bonds), geographies (US, Canada, International), and sectors (financials, technology, etc.). This ensures you do not 'bet' your financial future on one basket and have a portfolio that can weather the ups and downs as well as the psychological biases that we all battle with. This is unlikely to be a surprise to many at this point as it is well discussed and written about. It is worth repeating though, as over the long-term, fees can destroy the value of a portfolio. If you consider fees, taxes and tack on inflation, it can be very hard to just break even. Fees are one of the few items totally in an investor's control, so it is something all investors should keep a tight leash on. No all fees are bad but it is important to understand and be sure you are getting value for the fees paid. Tax drag can be significant. Trading in a portfolio means an investor not only needs to be right by calling 'the top' on the stock they are selling but also be correct on the next investment they purchase and finally have that investment be so good that it overcomes the potential taxable gain created when the initial investment was sold. This sets up a high bar for investors that trade a lot in their portfolio. We talk a bit more about when to sell here. This one is so important and probably the one that gets ignored most often by investors. No one wants to wait 5 or 10 years to see their portfolio providegainss. We want it all now. Unfortuantely, patience is key in a portfolio. Set up a structure that makes sense for the long-term and don't change it unless your situation sees a material change (or if it was innappropriate to begin with). Markets take time to generate returns and compounding takes decades to have the true power of compounding returns felt. It will be worth it though. Similarly, companies do not execute a strategy in three month periods. It takes years to change a large company and for its strategy to be fully rolled-out, so an investment in a company should in-turn be viewed in a matter of years and not quarters. How often you do this matters less than just doing it once in a while. The key here is that you take a bit of gains off the table from higher valued companies and allocate it to those that underperform and are likely priced more attractively. This does not have to be done blindly as that can lead to investing in a broken company, but it helps keep an investor honest and manages volatility. This also helps limit any single investment becoming too much of a portfolio. This might be better titled as, "Don't closet index if you are paying fees for performance". If you are a passive investor or want to bypass fees and just shadow an ETF with the individual securities, then by all means. However, if you are paying a fund or advisor to manage investments and the portfolio looks similar to the benchmark, it will be difficult to outperform the benchmark. 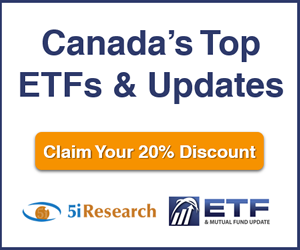 We find a lot of Canadian investors far prefer dividend stocks over growth stocks. This is partially a function of the preferable taxation of dividends as well as fewer growth names in Canada to invest in. Regardless, investors should not ignore companies that are growing faster than their peers. It is important to diversify by style as well, as a portfolio that only holds dividend names has style concentration risks. Times have changed over the last decade or two. Pensions are not what they used to be, costs for many standard 'luxuries' like education and housing continue to rise and people are living longer than ever. All of this means that your spending requirements are likely larger than you think and need to last longer than you think. This means that most investors probably need to tilt their portfolios to equities more than they have historically. Higher equity exposure means a higher probability of long-term positive returns. More returns mean a larger nest egg to fund your retirement and lifestyle. That traditional 60/40 portfolio you always hear about should likely be tilted closer to 70/30 in a lot of cases. Don't bother with positions below 1% of a portfolio. We talk about this topic more here. In short, if you are not willing to invest more than 1% in a security, is it really that attractive of an investment to begin with? These low weight positions create more work in terms of monitoring and add little value even if the holding posts stellar performance. That 1% is likely better invested in a favourite name one already owns as opposed to a new position you do not even like that much. Psychologically, we think it is difficult for many investors to hold a lot of stocks in excess of a 5% position. Further, stocks at 5% of a portfolio give an investor plenty of opportunity to create wealth with good investments while allowing for enough diversification that you are not betting the entire portfolio on the success of one or two holdings. Generally, the benefits of diversification start to be minimal once you reach 20 to 30 holdings. So, 5% weightings make sense in this light as well. If a stock is doing really well and everything is lining up, allowing it to drift over 5% can be ok but the investor should be aware of the risks and not get too greedy. As a stock approaches 10%, we think an investor should then make a concerted effort to rebalance and trim the gains back to something closer to the initial position. This is an issue we see in a lot of portfolios for Canadians. Due to the structure of the TSX, a single sector (financials) makes up 34% of the index. Add in energy and materials (two sectors that can be impacted by items as frivolous as weather) and these three sectors comprise over 60% of the TSX. This concentration in three sectors is why paying close attention to industry exposure is so important for Canadian investors. If you are a passive 'diversified' investor benchmarked to the TSX, you are actually making a very active bet on two or three sectors. We like to try to keep exposure to any single sector to no more than a quarter (25%) of a total portfolio. Often times doing nothing is best. Between transaction and tax costs mentioned earlier as well as the fact that often times the market has priced in an event or news by the time you have heard about it, doing nothing is often the best course of action. It can be hard but stepping back from knee jerk reactions and thinking long-term can help an investor avoid unforced errors in their portfolio. This is a big behavioural bias most investors make. They sell the companies that are doing well and hold on to the losers. However, if you sell all of your winners, you are left with a portfolio full of losers! Often times, stocks and companies 'go up' because something is going right at the company. Selling the names that are doing the right things undermines all of that hard work you did to unearth that great investment in the first place. Instead, it is often better to sell the names that are adding no value, listen to what the markets are telling you, and move on to investments that are working or new ideas. We talk more about when to sell here. So there you have it, some key portfolio principles and some principles that we believe at 5i Research. We think if an investor implements some of these into their own portfolio management process, you will be positioned for long-term success. Have you tried Portfolio Analytics? 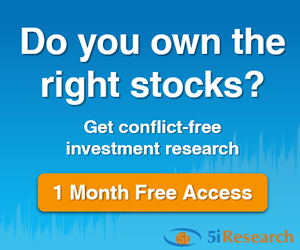 Try it risk-free for 60 days and see if there are any critical mistakes in your portfolio. 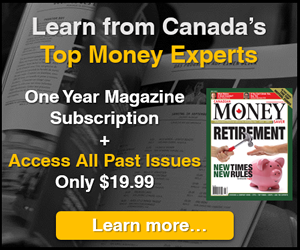 Plus get a professional and unbiased opinion on how to fix them and further optimize your portfolio.